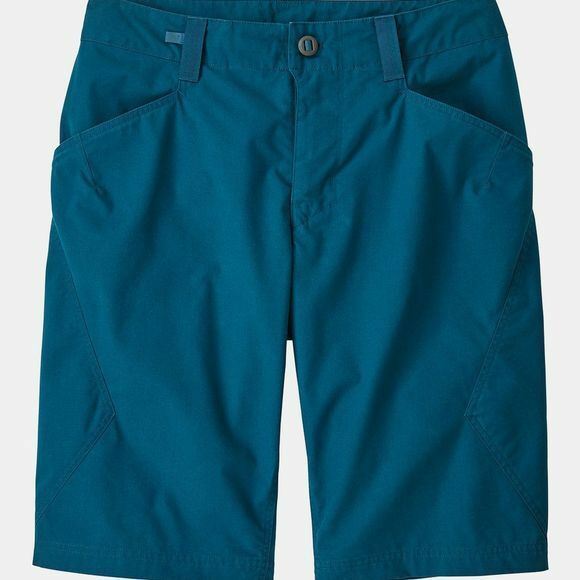 The Venga Rock Shorts from Patagonia are made from lightweight organic cotton with just enough stretch for all-day comfort at the crag. The fabric has a DWR (durable water repellant) finish to shed moisture and regulate temperature, staying breathable, durable and classically comfortable. Carefully design to reduce bulk, customised fit is achieved by zip fly with belt loops and OppoSet - you simply hold the button and pull the webbing tail to tighten. Drop-in hand pockets have breathable mesh pocket bags and layflat construction for comfort under harness. Two rear, top-entry pockets create a reinforced seat for added durability. 12" inseam length stays comfortable under a harness.